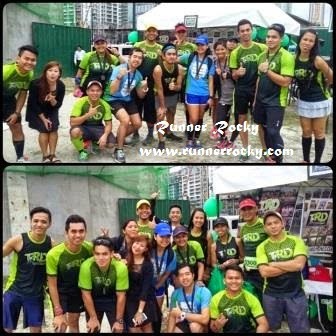 The running ground turned green as majority of the members of the running group Team Run Direction (TRD) ran and supported the recently concluded Takbo.Ph's 20 Miler Run on the Sunday morning of January 18, 2015 at the Bonifacio Global City, Taguig. Green is the trademark color of the group. 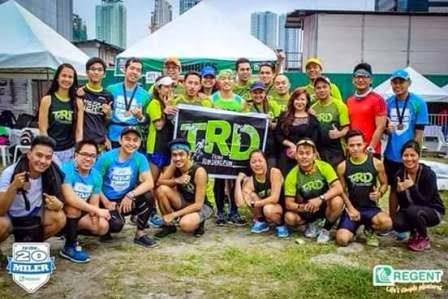 Members who joined the running event wore their TRD uniform. 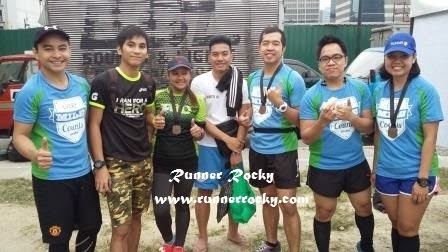 On the other hand, members who didn't run were also present in the event as they cheered and showed support to their running mates. 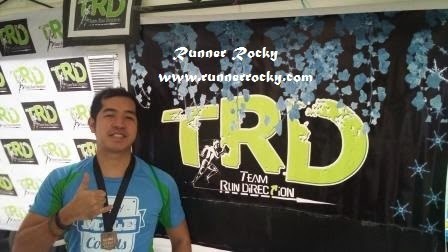 This Miler Run was the first big event in 2015 were TRD was in full force! 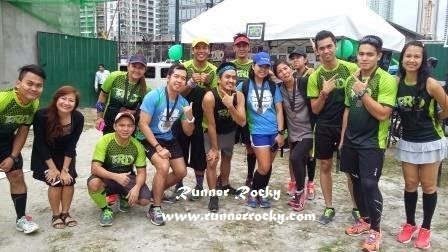 And this was my third time to be with the team in a major running event being AffiniTeam Brown Race last December 14, 2014 as the first and Egg Power Run last January 11, 2015 as the second. And yes, yours truly really witnessed how each member supported one another. 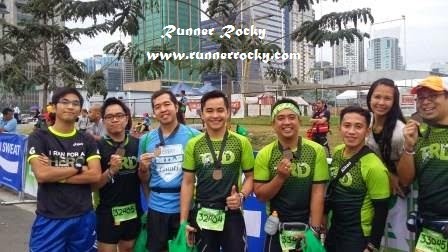 The spirit of oneness, unity, commitment, camaraderie, cooperation, and sportsmanship truly prevailed during these major running events making Runner Rocky a very proud TRD member! 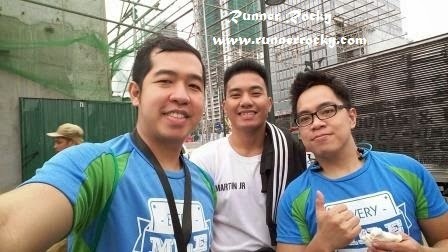 The team members ran in two different categories. 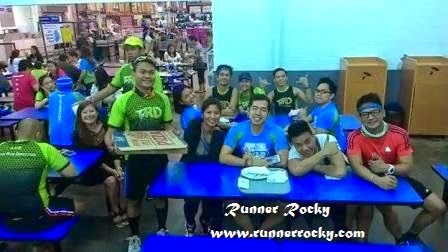 Many conquered the 32 Km (20 Miles) category while some took the 16 Km (10 Miles) challenge. 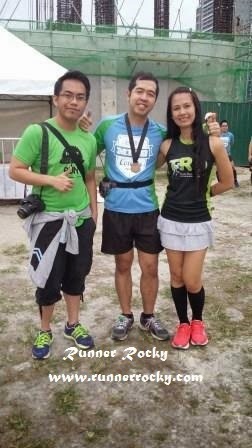 Yours truly ran the 16 Km distance. Now The Team is A Little Bit Complete, Let's Have a Groupie! Hey, We're Having our Wacky Shot! 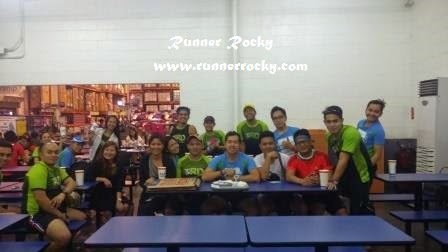 Team Run Direction Conquered the S&R! These were just some of our inspiring photos together on the said event. 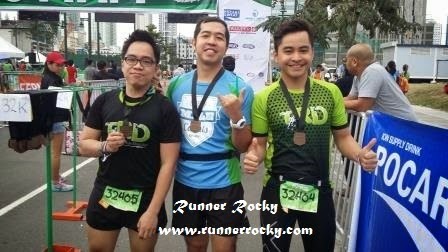 Many more photos were uploaded in the TRD's official Facebook fanpage. 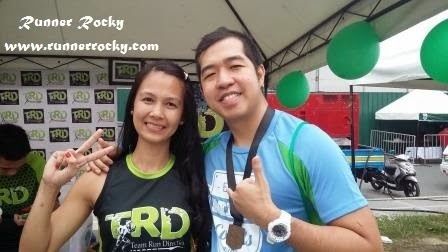 You may visit and like it here: www.facebook.com/TRunDirection. 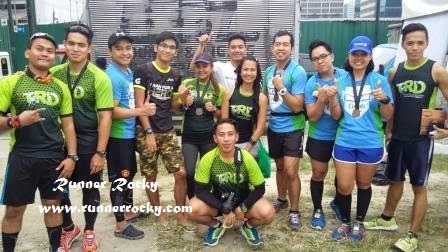 After our successful runs, foods, drinks, and snacks awaited the members in our own tent located in the area as the members brought foods as a form of support to their teammates. Overflowing of foods didn't stop in our tent. 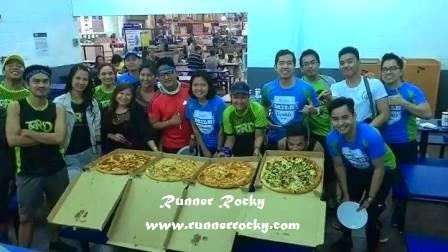 Before we board home, the team had a recovery pizza loading breakfast in the nearest S&R, BGC branch. This served as our bonding moment together. 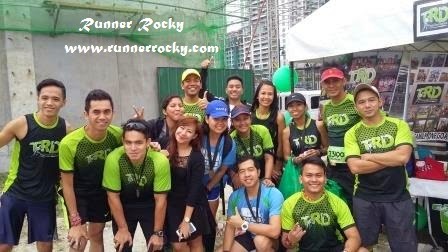 This coming February 1, Team Run Direction will again in full force as majority of us will run and support the much anticipated Condura Skyway Marathon 2015 - Run for a Hero! 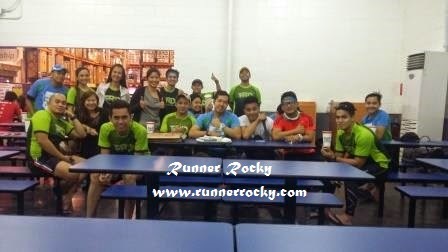 Definitely, expect another cool bonding moments together with my TRD family. And of course, get ready for another unlimited pictures and selfies. Hehehe...Exciting!